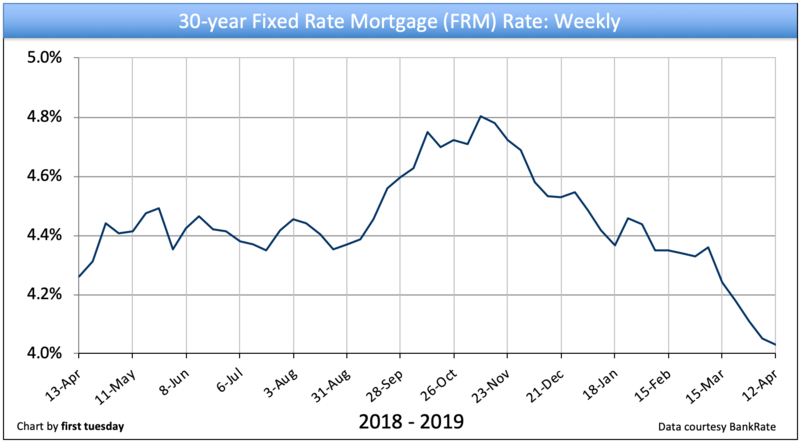 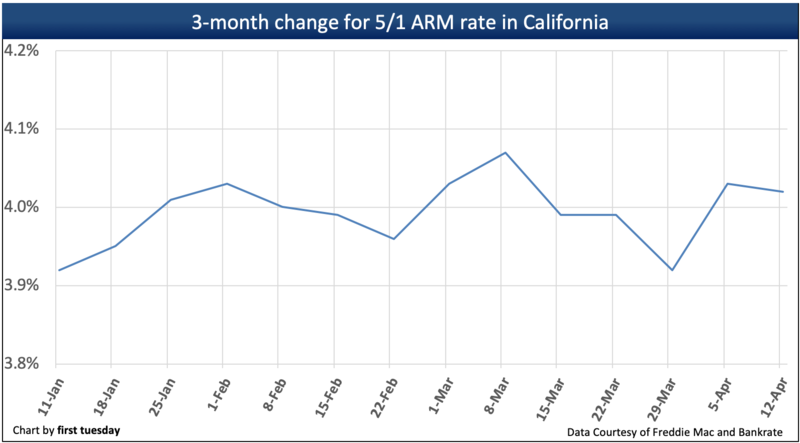 The average 30-year fixed rate mortgage (FRM) rate dropped to 4.03% in the week ending April 12, 2019. 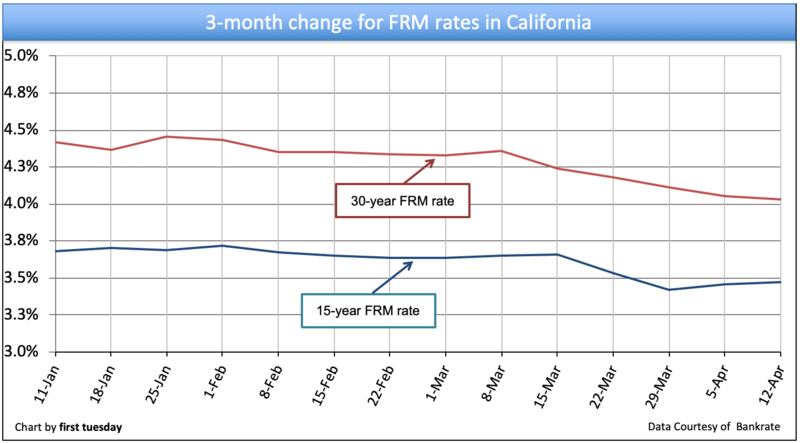 The 15-year FRM rate rose slightly, to 3.47%. 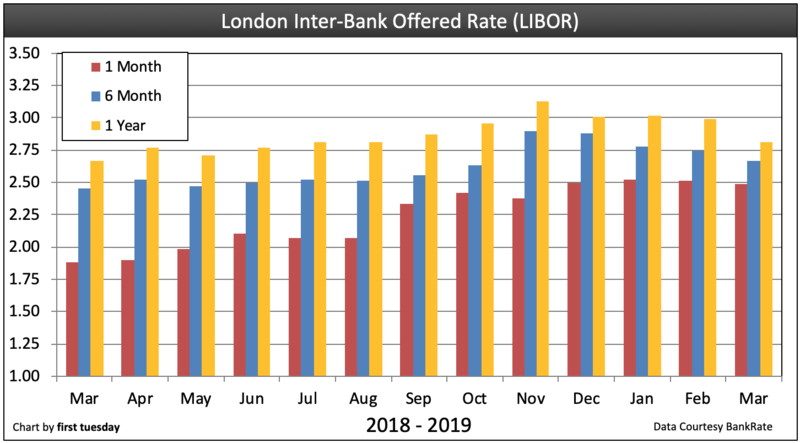 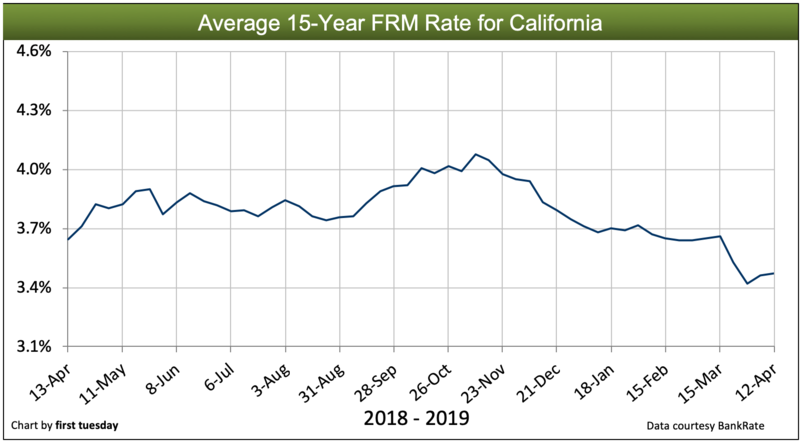 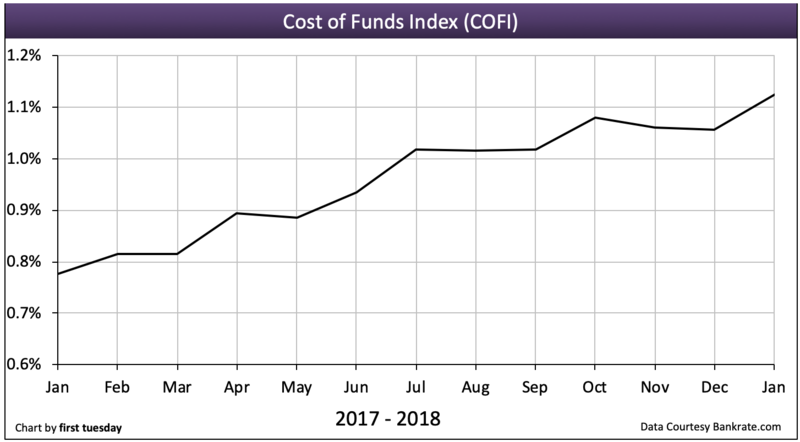 FRM rates rose significantly in 2018, but have fallen back in recent weeks, currently below a year earlier. 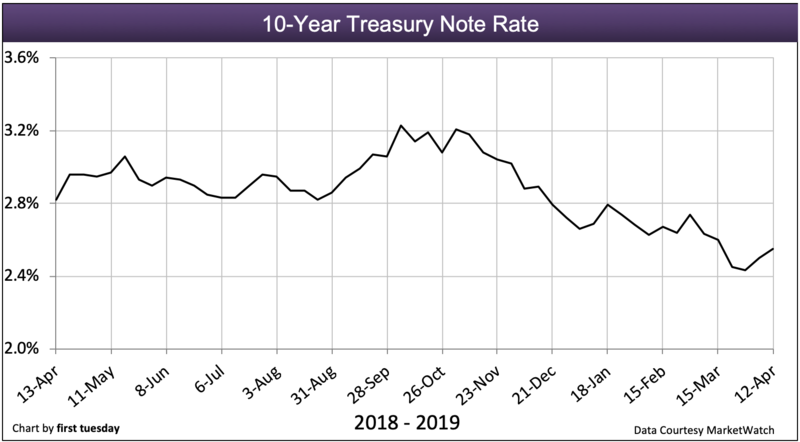 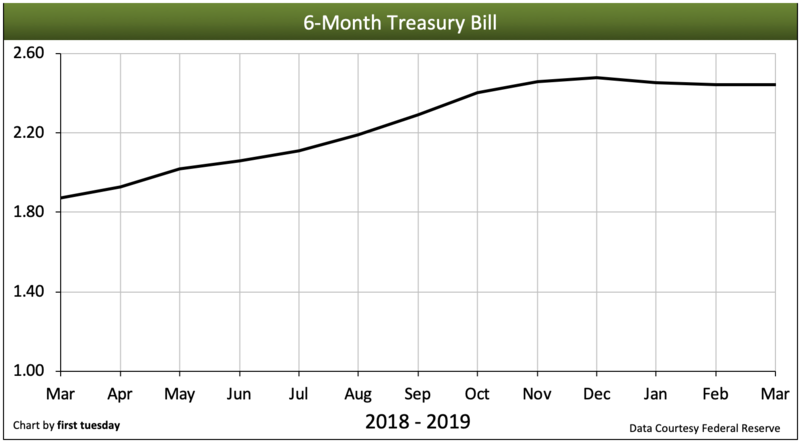 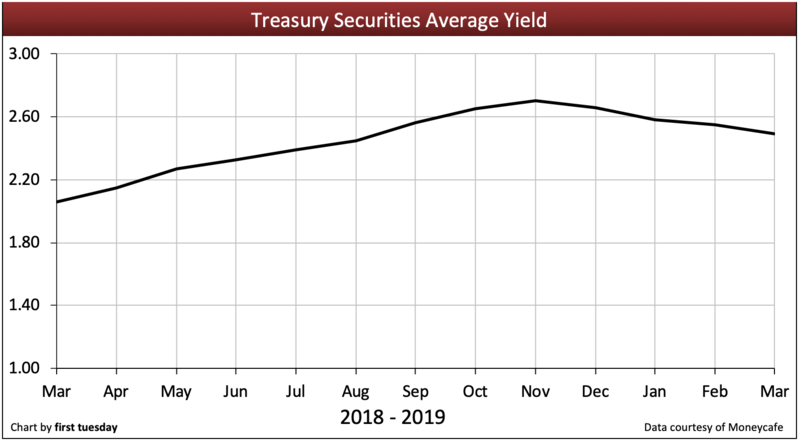 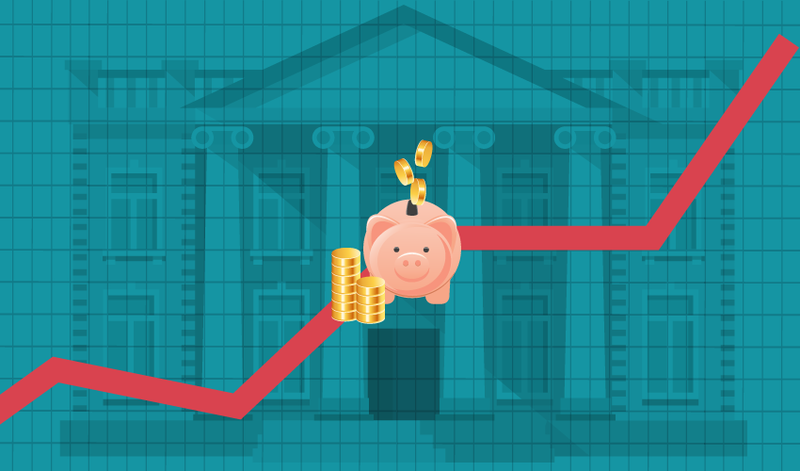 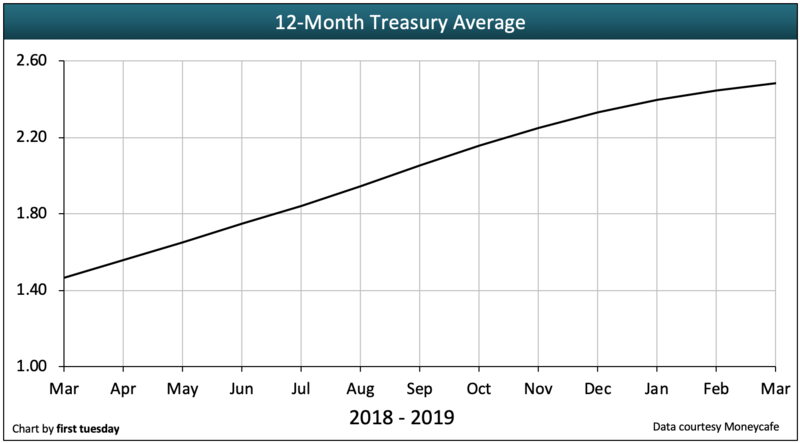 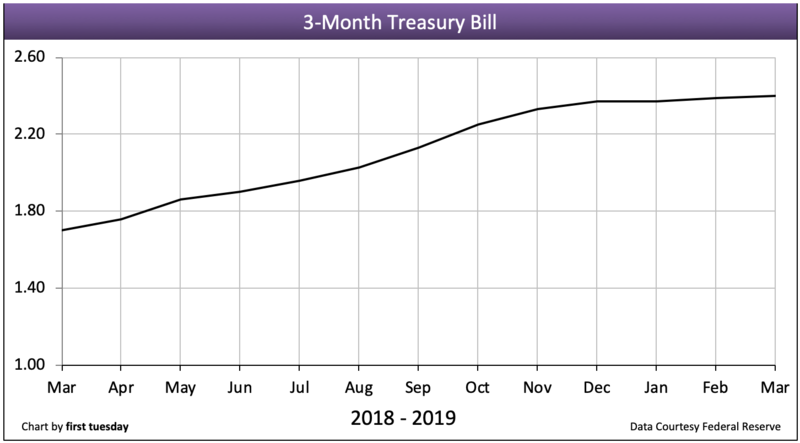 The long-term rising trend has briefly stalled as the Federal Reserve (the Fed) drops interest rates as we head into the coming recession, expected in 2020. 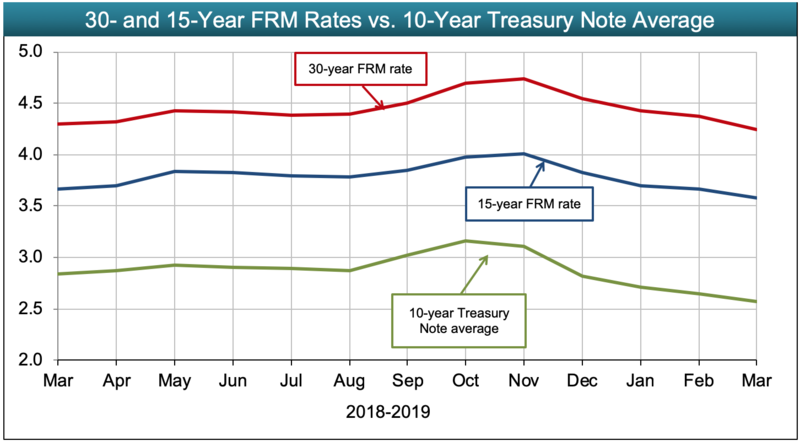 In response, expect interest rates to decline throughout 2019. 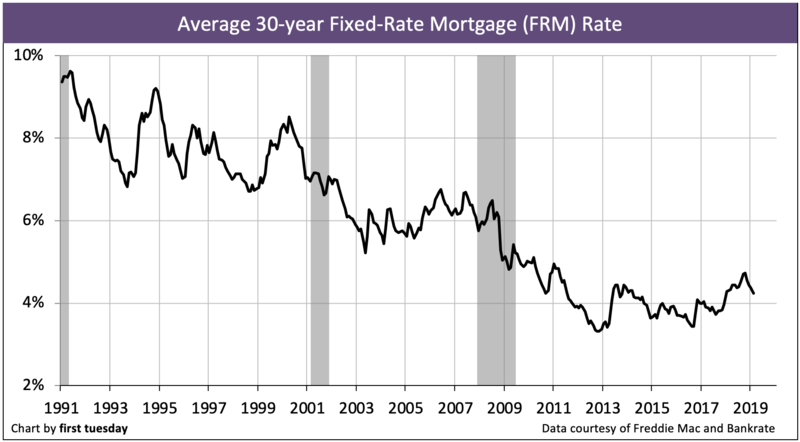 The spread between the 10-year T-Note and 30-year FRM rate is 1.48%, just below the historical difference of 1.5%. 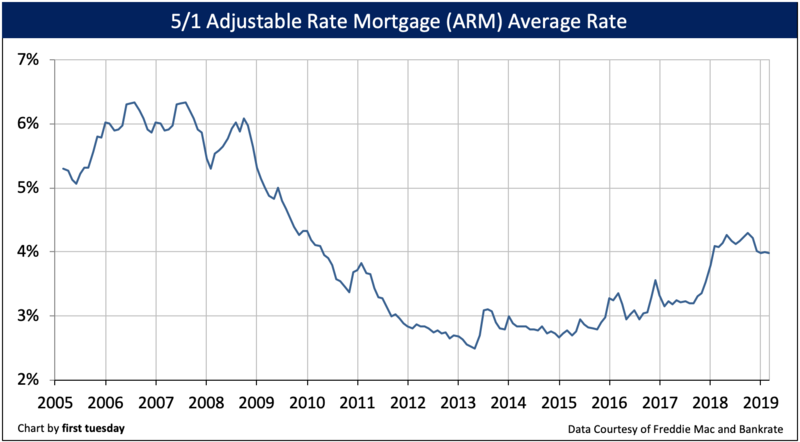 The past several months have seen above-normal margins, signifying that mortgage lenders, uncertain of the market’s future, have been padding their risk premiums. 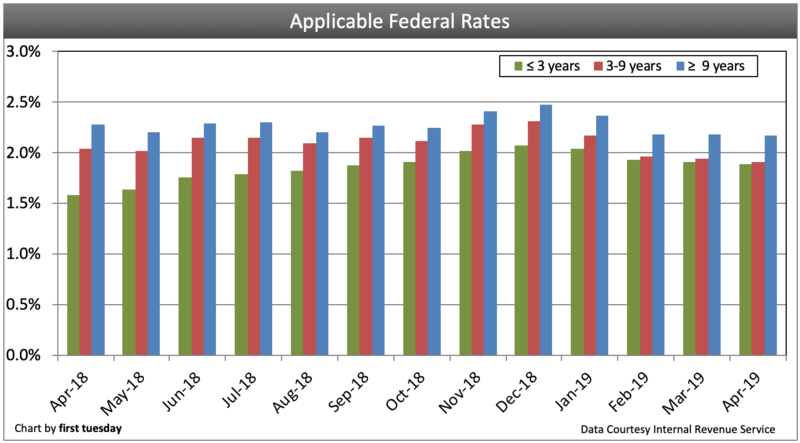 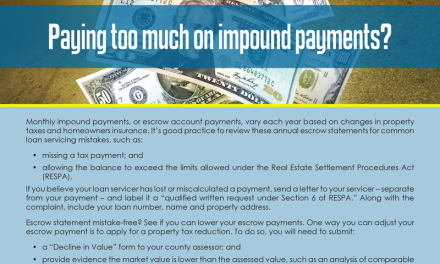 However, in April 2019 lenders are tightening their margins to encourage more mortgage originations as the market slows. 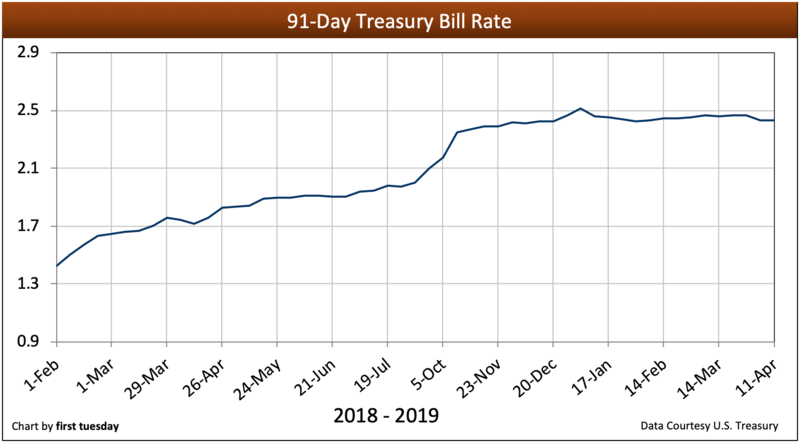 Updated April 12, 2019. 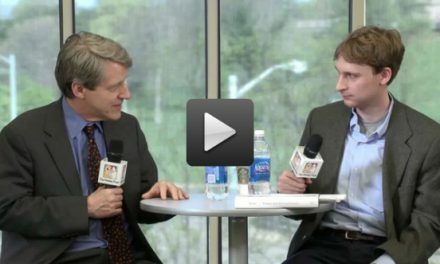 Original copy released March 2012.